This post was originally published on 7/8/2013. Due to its popularity, it was updated with new information on 4/3/2018. 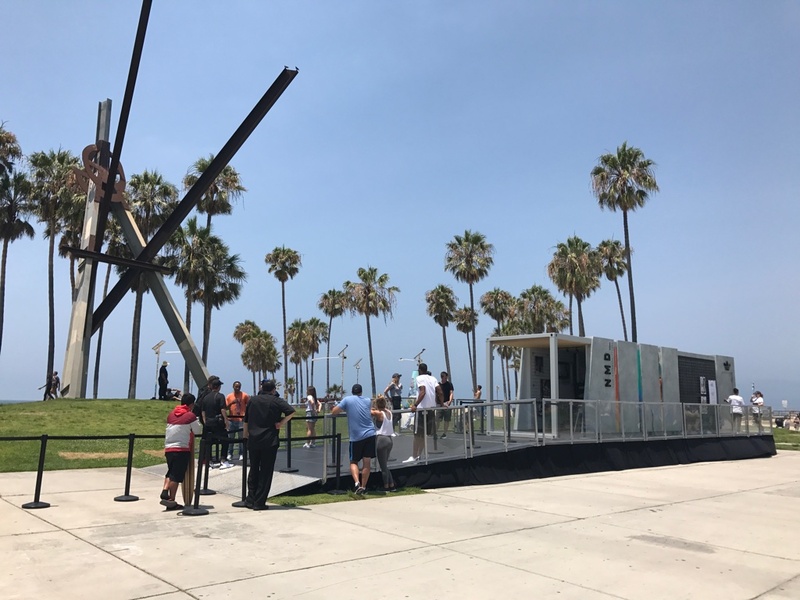 Nike designed a repurposed shipping container (pictured above) to reach its lacrosse market, making 38 stops in 52 days across the U.S. Pop up retail has become trendy. Retailers aren’t waiting for customers to find them anymore; they’re bringing products right to customers. 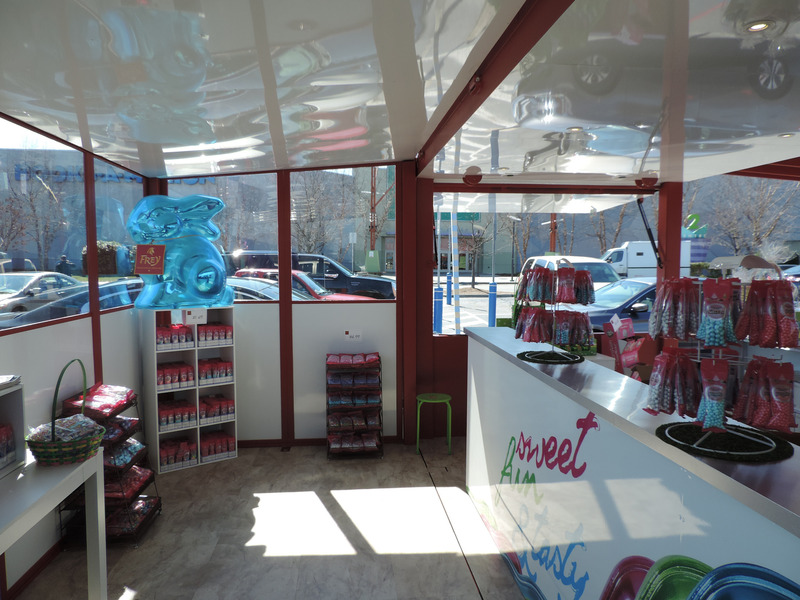 Building a pop up retail space from a modified shipping container is an ideal way to be a part of this movement. We got our start in experiential marketing. Experience is the pillar that holds up our business and creating remarkable experiences is a tenet we live by. Experiential pop up stores usually provide a sensory experience that hopefully touches an individual on an emotional level. When they do it right, brands begin connecting with customers who WANT to hear from them in interesting and meaningful ways. Whatever value your brand is providing, experiential retail is a way to position yourself through one-on-one interactions as an authentic and relevant brand. It was big news when Adidas launched their NMD shoe. They knew they wanted to incorporate street culture and experiential elements into a pop up event. Shipping containers allowed Adidas and the Roundhouse agency team enough flexibility in footprint and aesthetic to design a space that would reflect the beautiful sneaker culture of NYC and Venice Beach. Their programming included curated retail spaces, camera obscura portrait photo experiences, and finally, an area for attendees to scope out the shoes and reserve their own pair. Take your product directly to your target market. If you manufacture baseball gloves, create a pop up event by bringing your box to a game. Shipping container architecture offers virtually limitless location flexibility. These containers can be shipped worldwide. As an online retailer, BeautyKind needed a container design that could easily squeeze into tight footprints and still feel like a large-scale activation. The easy set-up, and self-offloading elements make this structure one of our most nimble and easily customized models. 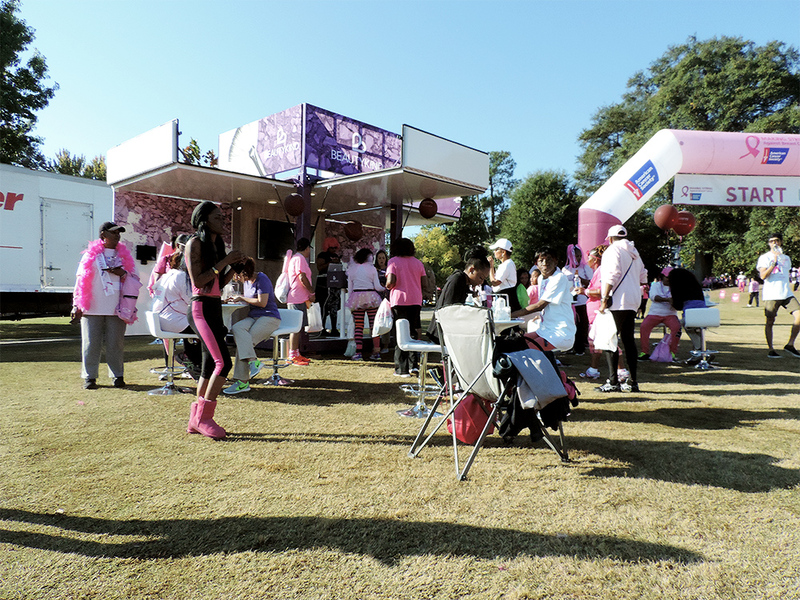 Utilizing containers, they could spend more time and energy with customers at their event, and less time unpacking boxes and stocking shelves. With shipping container pop ups, inventory travels packed in and ready to go. Just take a look inside BeautyKind’s container. It’s safe to say, these boxes are nothing like tents — which is good because shoppers are not wowed by tents. A tent cuts off the environment, unlike a repurposed shipping container which has the added benefits of flexible configuration and inviting lay-out. Real estate brokers and anchor tenants want to find new ways to generate revenue with their assets. Large parking lots are a relic leftover from the 1970s and rarely utilized to capacity. Companies like Macy’s have already begun developing parking lots, but the transition won’t come quickly or easily. 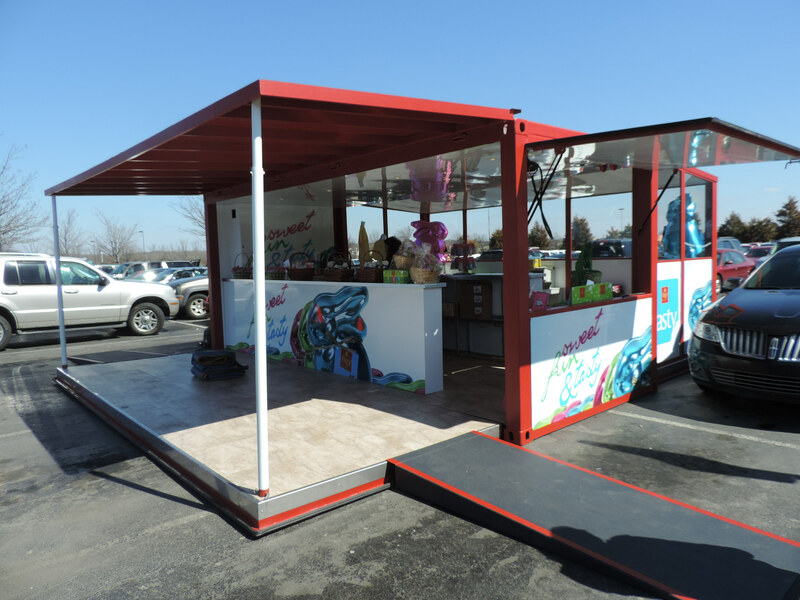 In the interim, innovative companies like Chocolat Frey utilize our containers to provide a quick and mobile pop up store outside of shopping malls during peak seasons. Shipping containers offer immense flexibility, even after delivery. Retailers can open or close doors depending on the size of their lot. The units lock up tightly at night. So, there’s no need to think about renting storage space for collateral materials or hiring overnight security. Chocolat Frey decided to bring their products to the American market beginning with their bunnies, Funny, Sunny and Lucky. They needed a place that would create more impact than a typical brick-and-mortar location. That’s where containers come in. 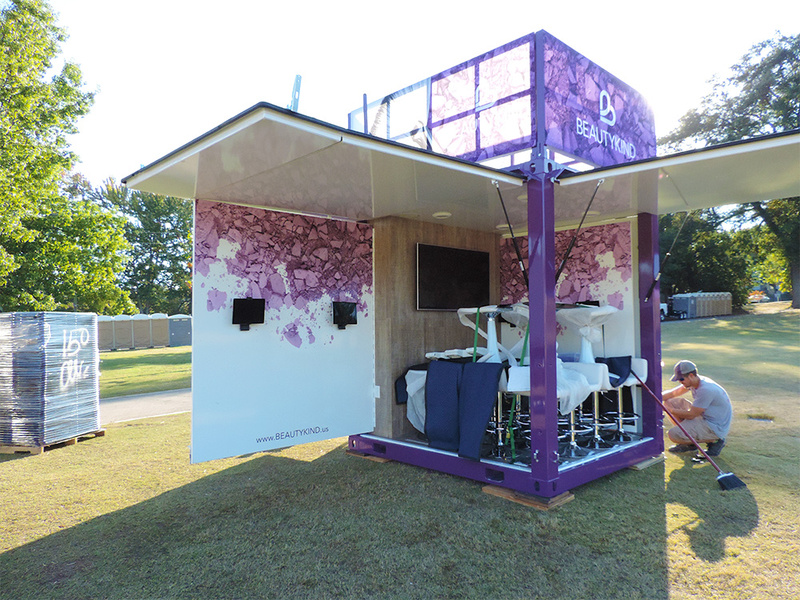 We created a gorgeous mobile retail facility that encompasses the Chocolat Frey brand inside & out. Located in a parking lot at North Carolina’s Concord Mills Mall, Chocolat Frey took advantage of underutilized space for Easter holiday shopping. Six weeks from today you could be opening your pop up shop. Depending on what you want, it could be sooner. Your business loses 2% gross profit for every week it’s not open. We can get you on the ground faster than any other construction method. 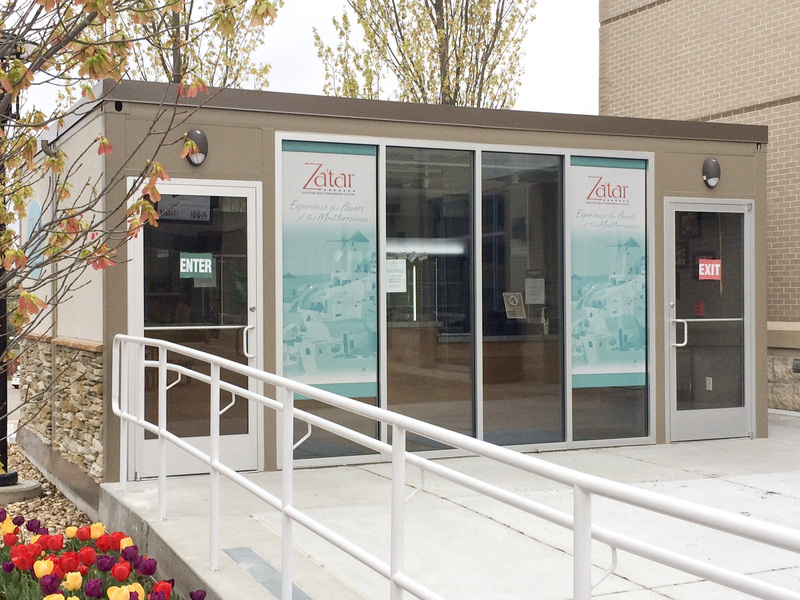 In partnership with Compass Group, Missouri University of Science and Technology opened their Mediterranean container restaurant, Zatar. MS&T needed new dining options for their on-campus student body. And, with students arriving soon, a traditional stick-built restaurant wasn’t an option. So, we developed a containerized modular solution to provide students with a quick-serve Mediterranean restaurant the same day their spring semester began. A typical build timeframe for a stick-built quick-serve restaurant is six to twelve (6-12) months. By utilizing shipping containers, MS&T’s newest restaurant could open and operate within the week of its arrival. Shipping containers helped this team truncate their opening day by months.